The view from Muckelty cairn. Doomore, Knocknarea and Benbulben are all intervisible from here. 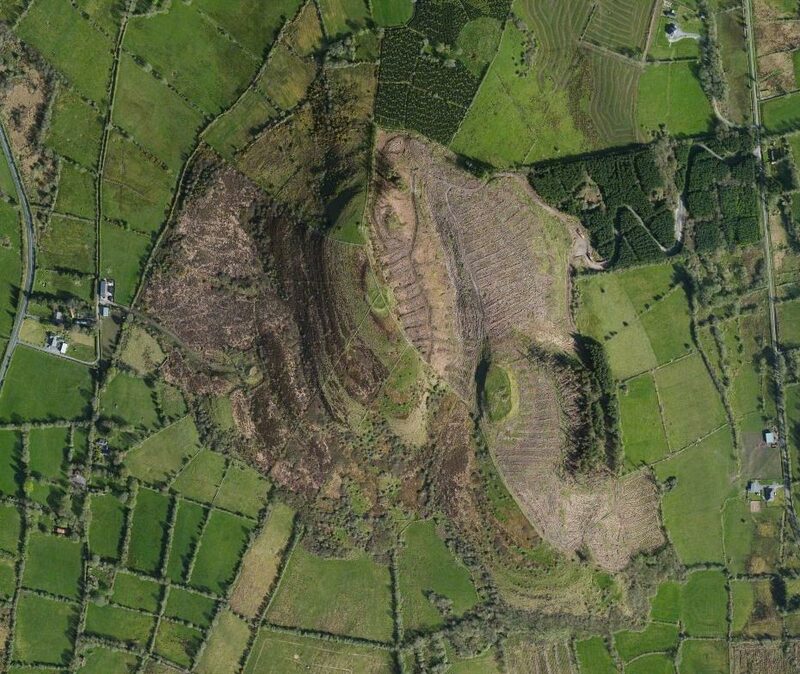 Muckelty Hill is located just north of Tubbercurry in south County Sligo. The N17 winds around the base of the hill. In some respects, Muckelty Hill and Knocknashee form a gateway into the Sligo region viewed from above Charlestown as you travel up the N17 from the south. Muckelty Hill viewed in Bing Maps. On the summit is another neolithic stone cairn with spectacular views to the north and west. The east view, which is currently blocked by a forestry plantation, would be towards Kesh Corran, Carrowkeel and Moytura. The summit of the hill is enclosed within a huge ditch or embankment, which is probably neolithic in date. Others are found nearby at Knocknashee, Kesh Corran, Knocknarea, and further south at Knockma and Echoy's Cairn, Ballinrobe. 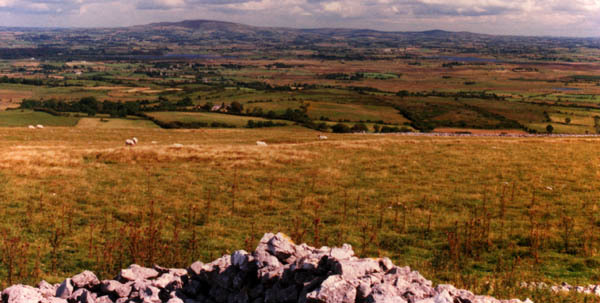 The view to the east from Knocknashee; Kesh Corran, Carrowkeel and the Curlew Mountains are all visible. Picture © Leo Regan. The view to the north has a very interesting horizon. In the foreground is Knocknashee, the Hill of the Fairies, which has two chambered cairns and the probable remains of some 30 stone age huts. 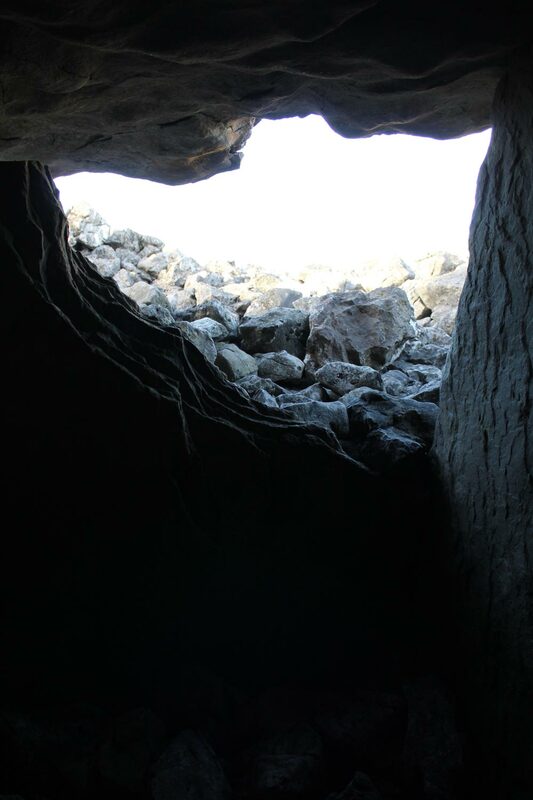 Within the chamber of Knocknashee cairn. Beyond are the Ox Mountains, with Doomore Cairn, Knocknarea and Benbulben. Croagh Patrick, the pyramid-shaped holy mountain can be seen to the southwest in good weather. 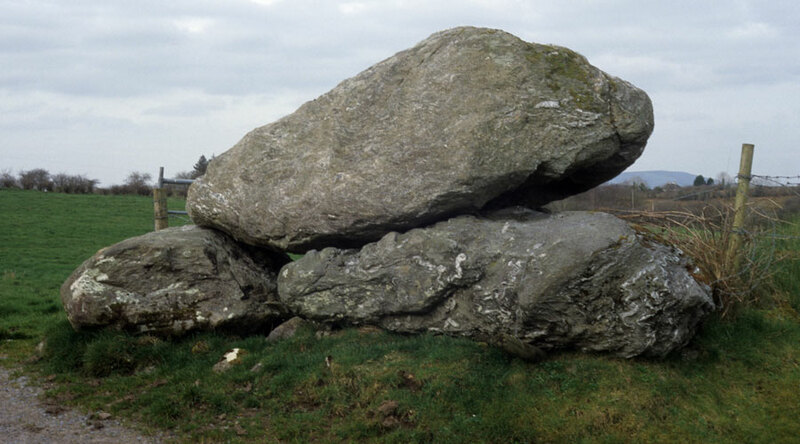 The large boulder burial at Aconry near Muckelty Hill. Kesh Corran can be seen in the distance.